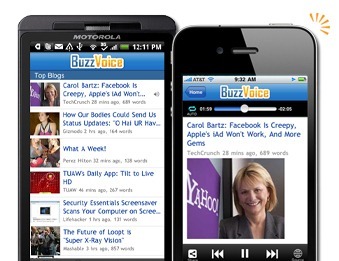 Remember BuzzVoice? No, we don't have another giveaway up our sleeves, but we don't need one: the service has just received an update that, among other things, has made the app completely free! Background audio streaming for iPhone - nothing of interest to us Android users, but hey - Apple fans deserve some multitasking love too, right? The ability to control BuzzVoice with your earphone button - again, nothing of interest to us Android users, especially since those nice earbuds that ship with pause, skip, and rewind buttons are all "Made for iPhone"